Do you have a 2009 penny? Are you looking for examples of all 4 of the different Lincoln designs seen on the reverse (tails) side of the 2009 pennies? A lot of people ask me if these special 2009 pennies are worth anything more than face value — due to their unique commemorative designs. 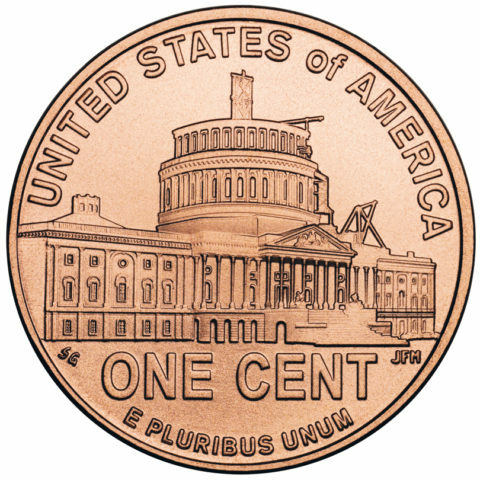 2009 marks the first year since 1958 that the one-cent coin did not have a design of the Lincoln Memorial — which replaced the wheat ears design on the reverse (tails side) of the coin in 1959 and remained there until 2008. U.S. pennies made in 2009 honor the Bicentennial (200th anniversary) of Abraham Lincoln’s birth on February 12, 1809. The Lincoln Bicentennial pennies have 4 different reverse designs that show scenes of Abraham Lincoln throughout his colorful personal and professional life. These 4 commemorative coins, which were released one at a time throughout the course of 2009, were first introduced to the public on Lincoln’s 200th birthday — February 12, 2009. You can view the other proposed designs. The 2009 Lincoln Bicentennial cents were released into circulation, meaning they could be obtained for face value — plucked right from pocket change for merely 1 cent each. While there were hundreds of millions of 2009 pennies to go around, the United States Mint also issued special collectors’ editions of the 2009 Lincoln cents. These coins were widely available to collectors through mail order, phone orders, and online. 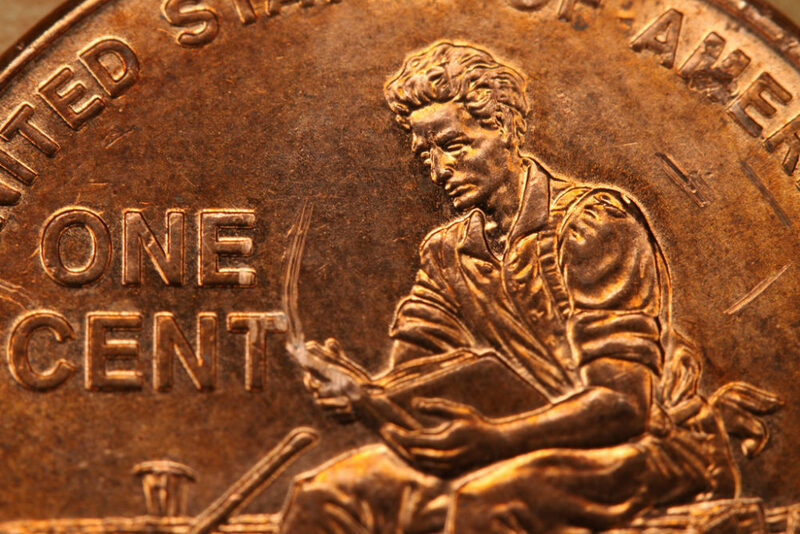 Like the circulation-issued 2009 Lincoln pennies, these special edition coins aren’t rare. Among these collectibles are San Francisco S-mint proofs and satin-finish collector Lincoln cents that were made with 95% copper, 5% tin and zinc — which was the same composition as the first Lincoln pennies in 1909. These became the first copper one-cent coins the United States had made since 1982. 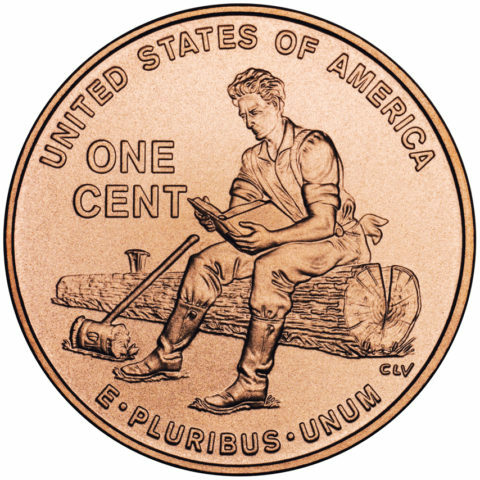 While the 95% copper satin-finish 2009 Lincoln cents have much lower mintages than their zinc-based business-strike counterparts, they are not considered rare coins. They are, however, highly desirable and are avidly collected. In addition to the Bicentennial 2009 pennies, U.S. Mint released the 2009 Abraham Lincoln Bicentennial silver dollar — which is now worth about $30 to $40 in proof or uncirculated condition. Lincoln Bicentennial celebrations were held throughout 2009. For example, in May 2009 the Lincoln Memorial (a Washington, D.C., icon that was built in 1922 and appeared on Lincoln cents) was rededicated. Other tributes were also offered around the United States in small towns and large cities — including parades, concerts, and community gatherings. How Much Are 2009 Pennies Worth? Wondering what your 2009 penny is worth today? 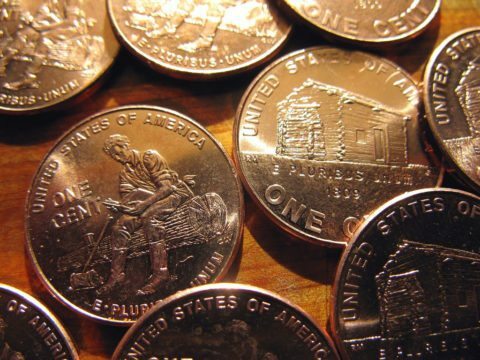 As you’ll see below, most 2009 Lincoln cents are worth face value if they’re worn — which would apply to just about any 2009 penny that you’ll find in your spare change. In addition to the regular-issue 2009 pennies listed above, there are also some 2009 Lincoln error pennies and unusual varieties that can be found. What Else Happened When Your 2009 Penny Was Made? Captain Chesley B. “Sully” Sullenberger III became a hero after being forced to land his US Airways plane in the Hudson River near New York City after the jet struck a flock of geese. Barack Obama was inaugurated as the 44th United States president on January 20, with Joe Biden sworn in as vice president. Effects of the Great Recession kicked into high gear, with unemployment rising to its highest levels since 1983. Michael Jackson, long hailed as the King of Pop, died at the age of 50. His funeral was nationally telecast across multiple media networks. President Obama signed a bill banning federal workers from texting while driving, making it one of the first such wide-sweeping bans on the dangerous practice. Avatar and Harry Potter & The Half-Blood Prince lured droves of people to movie theaters. Taylor Swift, who was notably interrupted on live TV by Kanye West during the 2009 MTV Video Music Awards, soared to new heights on the music charts. 181 people were killed in the worst wildfires Australia had ever experienced. Scientists unveiled 47-million-year-old fossilized remains of a being they linked as an early ancestor to humans.